If you spend any time outside these days, chances are you might be encountering some tiny black bugs. Lots of people mistake them for ticks, but they are actually Yellow Poplar Weevils. Agriculture officials say they're damaging poplar trees across West Virginia. The Department of Agriculture said this week that most healthy trees will survive the onslaught by yellow poplar weevils. But trees stressed for one reason or another can be seriously damaged. State forester Randy Dye says the Division of Forestry is working the Department of Agriculture to monitor the situation. Yellow poplar weevils are native to the state. They love yellow poplars, sassafras, and magnolia trees. WVU Extension Services says usually predatory and parasitic insects keep the weevils under control but that there aren't enough natural enemies present to provide sufficient control during certain outbreaks such as this year’s. 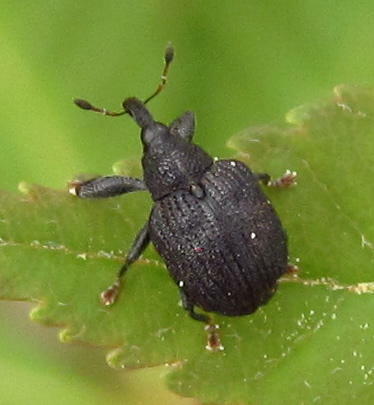 The weevils are supposed to begin hibernating in mid-July and won't reappear until next spring. Senate Bill 237 was on the House Floor Thursday. The bill would create the Captive Cervid Farming Act, which would allow West Virginians to own farms to raise deer and elk. The bill would transfer regulation of these farms from the Division of Natural Resources to the Department of Agriculture. The state Department of Agriculture’s proposed list of restricted pets in West Virginia was revisited by members of the Legislative Rule Making Committee yesterday. The public has an opportunity to weigh in on the state's proposed list of dangerous animals. The list developed by the Wild and Dangerous Animal Board includes chimpanzees, crocodiles and giraffes. Ownership of animals on the list will be prohibited. But residents who already own creatures on the list can keep them if they get a state permit. The state Department of Agriculture is seeking nominations for a program honoring contributions by women to the agriculture, forestry and specialty crop industries. The West Virginia Women in Agriculture program has recognized 26 women since it began in 2010. Previous honorees have been involved in a variety of fields including beef, dairy, education, specialty crop production and forestry.